Stanford, California, USA. 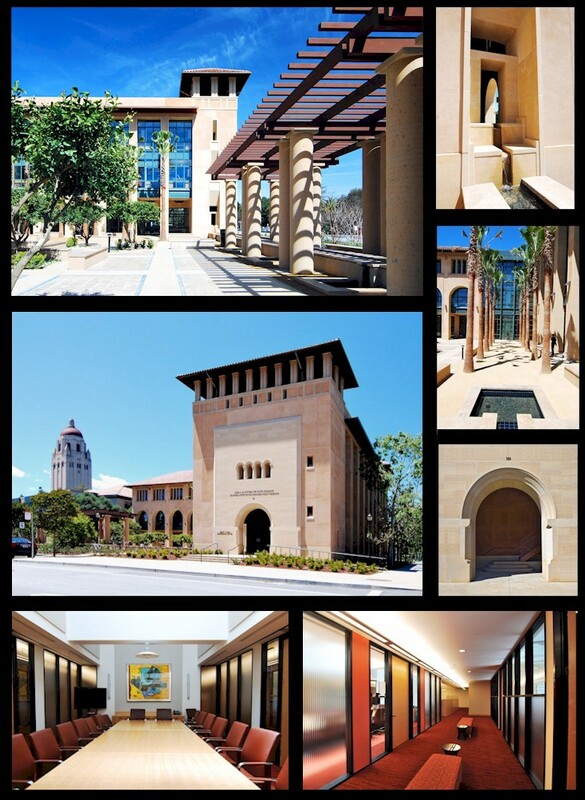 This three-story, 35,000 square foot structure was designed to provide a premier conference facility and office space for the Stanford Institute of Economic Policy Research. The new facility is intended to foster inter-departmental interaction and the exchange of ideas across the broad cross-section of economic policy makers and theorists; support existing functions, particularly group functions that have inadequate space; provide flexibility for future growth; and provide quiet, comfortable workspaces for teaching and research. Kornberg Associates, executive architect for the project, partnered with design architects Ike Kligerman Barkley Architects.